Similar to its western counterpart (2J), this group of counties has experienced a large area burned. These counties include both forested lands and mixed lands, particularly in the Southeast, where conflict arises due to considerable development and population growth over the last few decades, creating more homes in the Wildland Urban Interface (WUI). Example of a Typical County — Osage County, Oklahoma: Osage County experiences regular large fires of human ignition and consist of the Osage Indian Reservation. Communities can plan and take coordinated action, in combination with individual actions by property owners. This can include the creation of buffers and strategic fuel breaks. 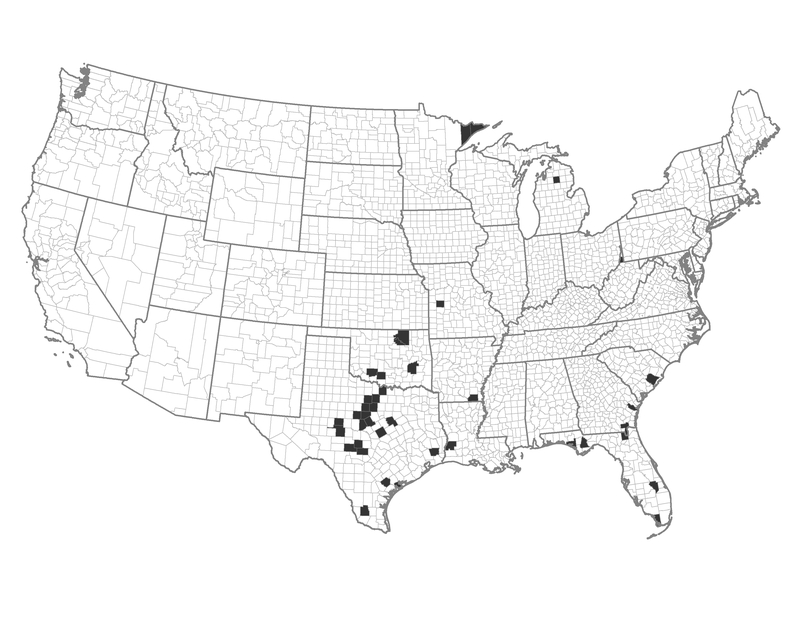 These counties could also adjust building and construction codes in all areas. Human caused ignitions are a problem in these counties. Reduce accidental human-caused ignitions through the enforcement of burning bans or greater. Reduce human-caused incendiary ignitions by focusing on enforcement programs.